2959 Congress Street- a Breathtaking Greenfield Hill Masterpiece! This one of a kind home features intricate stone walls, stunning hardscapes and whimsical water features. 2959 Congress Street’s elaborate gates open to a winding driveway through a vibrant, beautifully landscaped lot filled with rare trees. 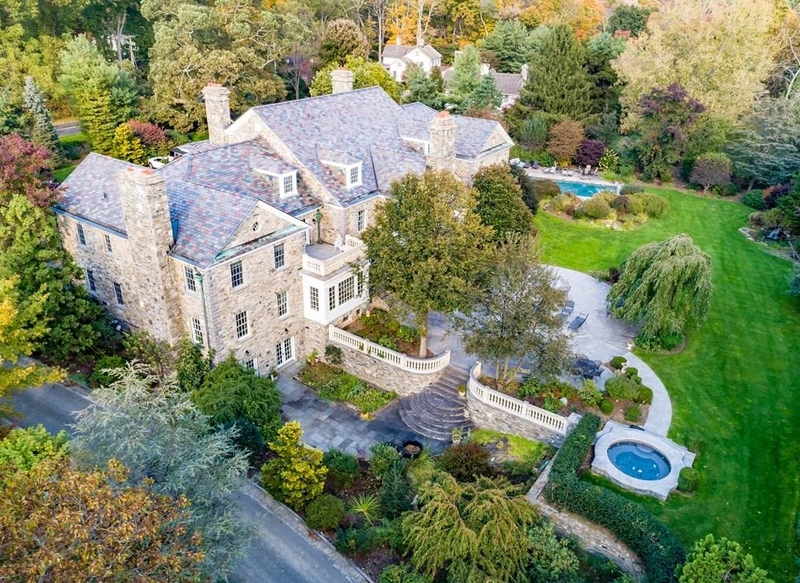 This spectacular stone and slate home was built by the hands of a celebrated stone mason for his own family. No expense was spared in the making of this home. Its style boasts Old World charm and modern day luxury. 2959 Congress Street features two lavish Master Bedroom suites, THREE kitchens, six fireplaces, and twelve bathrooms. The finishing details and materials of each and every room are unparalleled, with gleaming wide hardwoods, tile, marble and stone throughout. The main Kitchen is dazzling in both size and utility. The Dining, Living and Great rooms have rich attention to detail and large fireplaces. Each of the living spaces in this home are light and bright and offer beautiful views of the impressive grounds throughout the year. Upstairs are the lavishly decorated bedrooms and an open plan living space awash with natural light from the wide angled windows. The third floor features a giant playroom and potential for more bedrooms. 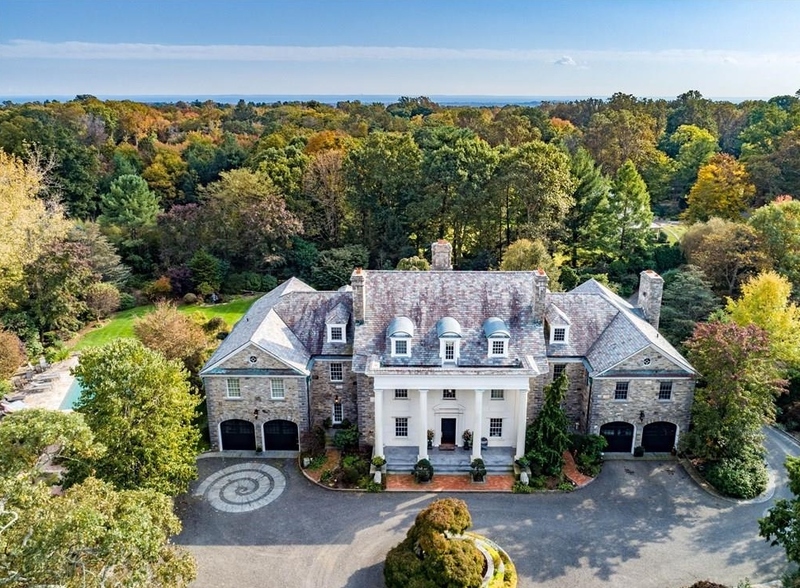 The lower level has a unique stone floor throughout and large working kitchen designed for entertaining on a grand scale. On top of all the luxurious amenities, an elevator also services all four floors. The inground pool overlooks the English garden, and a custom stone hot tub is just steps away. You will love the spacious four car garage with flagstone floors and whole house generator. The pastoral home site was part of a historic Fairfield farm, conveniently located in Greenfield Hill yet now offering tremendous privacy just minutes from town and highways. This is a once in a lifetime opportunity. For more information about this listing, check out this page or get in touch with Paul Krumins at (203) 258-1448. 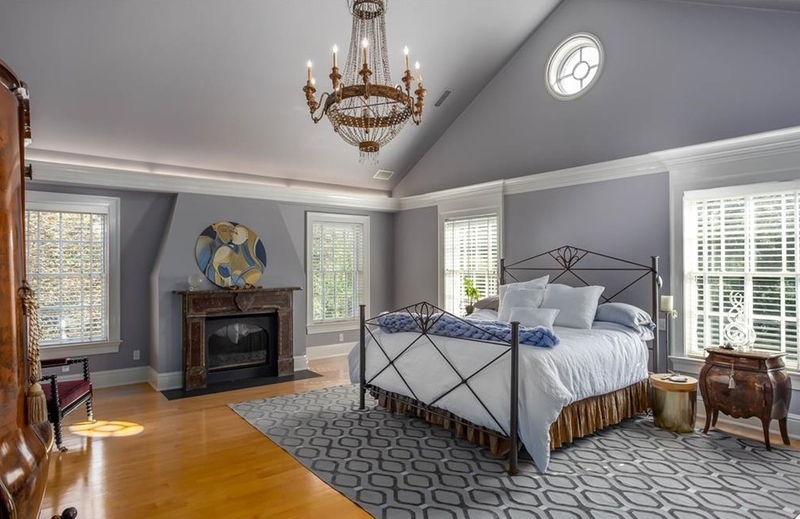 If you want to know more about homes for sale in Fairfield, CT, visit this page.